While you could go with the tried and tested method of putting pen to paper - why do that when you can give things a thoroughly modern spin? 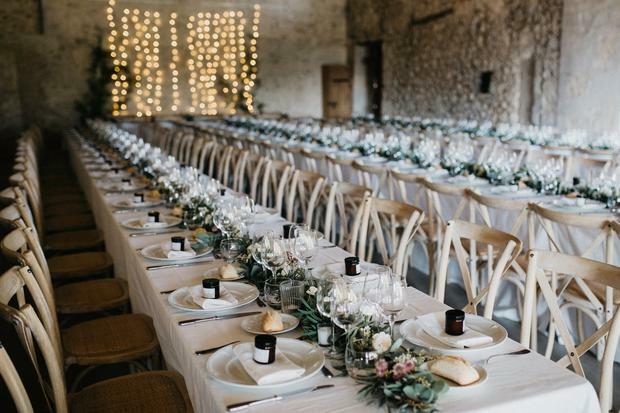 Guests at a recent Donegal wedding were treated to a taste of things to come to contemporary nuptials when Amazon's Alexa debuted her wedding planning skills at Chris and Maria McConville's big day in Harvey's Point, courtesy of friend of the happy couple Kevin McLaughlin. Kevin, who is studying computer science at Queen's University, created a 'Skill' for Amazon's voice-activated AI assistant device the Echo, which allowed Alexa to give guests their table number when they told her their name. She even added a little sass to her responses. "Everyone really enjoyed it, especially the kids and it was a big talking point," programmer Kevin told THEVOW.ie. "Maria and Chris were very excited about the idea when I suggested it and were keen to provide some witty comments Alexa could say to specific guests - she was able to handle some quite difficult Irish names and accents too." The idea originally came from a university event Kevin was at, when a 'Harry Potter sorting hat' was discussed. "Someone suggested it would be cool to have a Harry Potter style sorting hat. I knew I could put that together using the Echo so I took on the challenge and put the time into making it a reality." While Alexa did indeed work her magic on the day, the happy couple were careful to also have a back up just in case! "It would take too long to have everyone interact with it," Kevin explains. "Some people were unsure at first and some didn't read the sign that instructed them to give the specific phrase to get it started." However he assures that the system worked very well on the day. Kevin notes that 'the skill' is heavily customised for each event to cater for the specific attendees and special responses, so it is not a publicly available skill anyone with an Echo could install. But if you do want one, you can have it custom made for your big day.